Now, the ACTUAL content! Karan is tweeting the first images for the Student of the Year sequel. I am still very dubious, about all of it, especially the casting of Tiger. But, more importantly, what are those shoes? I feel like I am supposed to recognize them as a particular kind of sports shoe, but they are meaningless to me. I am kind of excited with the implication of the female delicate white shoe smooshing down and dominating over the male hairy leg shoe. If it turns into “Tiger is an outsider who doesn’t take school seriously but is a walk-in genius in Sports and starts a rivalry with the female Sports teammate and then they fall in love”, I might be kind of into that. But mostly the point of this post is Amitabh walking a goat. Why? Doesn’t matter! He Walks Goat! This entry was posted in Uncategorized and tagged Amitabh Bachchan, Shahrukh Khan, SOTY2, Student of the Year 2, Tiger Shroff, Twitter by mredlich21. Bookmark the permalink. Tiger looks like a 35 year old high school student. Can we not do this? Sigh. Why don’t they introduce some teen stars and then continue to make teen movies in the future with them? This is no unnecessary. That’s a charter. SRK always flies private domestically. Commercial flights would probably cause too many security issues. In other news, he was also spotted at South Indian director Atlee’s office in Chennai. Atlee also came to watch the cricket game with SRK so it’s started speculation that they could be working together. I despise masala movies so I hope SRK is only producing something and not starring in it. Meanwhile, Bachchan is complaining that SRK did not acknowledge Badla’s success and SRK is trying to assuage his ego. The twitter conversation is pretty amusing. The other two are teens, which kind of makes it worse? I don’t want to see grizzled Tiger making out with teenagers! Or at the most, 20 year olds. If SRK wants to jump on the “fund and help promote the Hindi dub version” bandwagon, that could be really good for him. He can take a proven success and just add his name on to it instead of trying to start from scratch. And the southern films could get the audience they deserve thanks to SRK’s promotions. Or he could produce South movies directly. Throw some money in and help promote it in other markets outside their state. They can use Red Chillies for vfx too and it helps out all sides. Just don’t star in a South style masala movie. Please no. SRK is also headed to China sometime next week for the Beijing film festival. I guess he can roam around now since he’s not working. He is due to be part of a panel discussion there and maybe he will stay for the Zero premiere? I forgot about the VFX business! Maybe he was just meeting with Southern producers about that, Red Chillies is doing a lot of business down south. Could be what he was doing in London too, trying to scare up more VFX contracts in Europe. That should be fun, for SRK to go to China! I look forward to many many interesting shots of him surrounding by crowds. Wait! Zero will be released in China? Why? Weren’t bad reviews in India and other countries enough? I have a post on this! Or at least, it was buried in the SRK PR post. The big big government sponsored Chinese film festival has Zero as one of the two films to open. I am guessing they started looking for a good option months back, maybe even before Zero released, and Shahrukh and Red Chillies were happy to help promote and sign favorable contracts and so on. It could be a good move for China, Zero is a nice big impressive film to show at their festival. All those special effects and stuff. For regular film releases, Andhadhun is playing in China now and breaking every record. I still have no handle on the Chinese market, why did Dangal and Secret Superstar and English Medium do super well, and now Andhadhun, but nothing else? Zero is the closing film of the festival. Both Variety and Hollywood Reporter wrote stories mentioning Zero being given such a prominent slot shows that Indian films are becoming more and more important in China. This way, they can also get SRK to appear. Film festivals always want famous people to come and enhance their name. Him being there will automatically cause thousands of newspapers/websites to write about a festival that would otherwise go ignored in India and many other countries. I’m not sure if Zero will be released outside the festival though. They will probably gauge reactions there and see how it is received and decide based on that. It’s not unheard of for movies that flopped in their home countries to work in China. It has happened many times for Hollywood movies so you never know. Dangal, Secret superstar and others are all movies about common people, so it’s just another reason to not release Zero in China. I hope it will be only for this festival. Regarding what works in China, this is just my personal view. I think they like movies based on women’s empowerment (Dangal, Secret Superstar, Hitchki) and overcoming difficulties or disabilities. Technically, even Andhadhun has a man with a disability (blind, sort of) and a powerful female lead. Hindi Medium and 3 Idiots are based on the education system which is a big big big topic in China just like in India. The pressures of succeeding are just as high in China with its Tiger moms in a difficult system just like India. Those topics just work for them. The white shoes look like the kind of shoes that most of us in India wore to school. They were bought in Bata and were fairly affordable for middle class families. The blue shoes look way fancier and like something that would be out of the budget for a middle class family to buy for their kid. I wonder if the shoes are supposed to be class signifiers. It kind of reminded me of Jo Jeeta Wohi Sikander. Maybe they thought “if it’s not broke, why fix it?” The movies still running really well just on word of mouth, why risk overpromoting? But, as Amitabh points out, it’s not just the film itself that needs the success promoted, the actors need that publicity for their next job. And maybe the studio for it’s next production. Yes, exactly! Promotions are for their future jobs. SRK has always been the antithesis of KJo when it comes to PR. I haven’t watched the movie but do you think SRK could’ve done well in AB’s role? No, it really had to be Amitabh. It needed to be someone who came onscreen and made you think “character actor” not “star”. 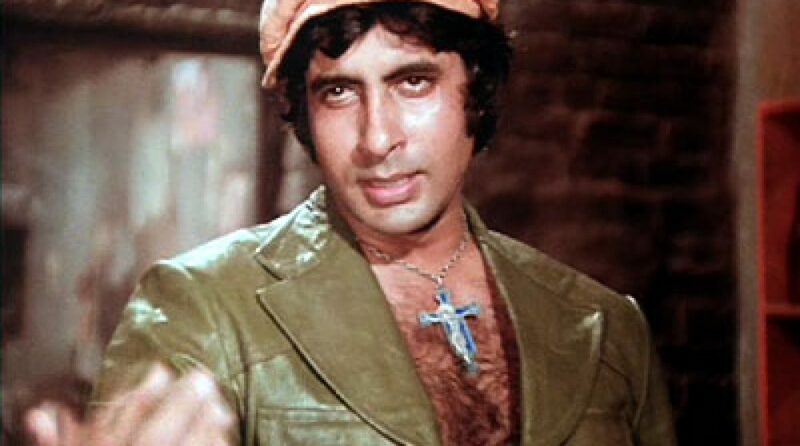 And someone able to play the really subtle line readings that Amitabh can do so very very well. If not Amitabh, maybe Naseeruddin Shah, or Pankaj Kapur, someone like that. I think the same. The film is very good, made a lot of money and nobody talks about it, while half-flops like Manikarnika have success parties. SRK’s own PR is pathetic too so I’m not surprised there would not be a lot of PR for Badla. They did not promote Ittefaq either. Even Sonakshi and Siddharth were told not to promote it because they wanted a quiet release. Maybe to keep spoilers quiet? I don’t know. However, it’s understandable if the actors don’t like it because they need the hype of a success to get their next movies. About the shoes: the white shoes are basically the standard PE shoes that all Indian kids tend to buy (usually from Bata – the biggest shoe store chain in India). In general, it’s the more common, accessible version of sports shoes, so I’m assuming there’s some middle-class person wearing that and “fighting” against the more high end fancy blue shoe dude. Maybe in American terms that would be someone wearing worn out sneakers in a sports game with the other person wearing Jordans. Oooo! Do you think it is supposed to be a middle-class girl and a richer boy? If Tiger is playing casually wealthy, and doesn’t realize that he is challenging struggling middle-class Ananya for her sports scholarship? Soty2: I had no interest already for SOTY except for Varun’s performance (when I read about it)…I certainly will read what I get about SOTY2, but without any interest for the movie (as for now). My feeling about Karan after 2012 is that he just wants too hard to be a person of power in the Hindi filmindustry…he has changed in a way I can’t relate to. SRK: I like the way he does his ‘networking’ at a time he doesn’t want to be bound by shooting schedules (maybe things may change after the IPL). Good point about IPL!!!! Maybe that’s why he hasn’t announced his next film yet, he wanted the free time for Zero promos and then going right into IPL season? I suppose he could have signed a film and scheduled the shoot to start in the summer. Heck, maybe he did do that! But doesn’t want to announce it and put that pressure out there until right before shooting. There was a very short clip from his BBC interview floating around in which he said he wanted to take a few months off and that he’s developing some subjects but has not decided on anything yet. But technically, SRK is never really off. He’s been filming ads and probably looking after his businesses and meeting filmmakers and reading scripts. It also looks like Amitabh Bachan’s grumbling worked. Red Chillies has been tweeting all day about a Badla Bash so I guess a party is coming sometime soon. Oh well, a party is always fun. Badla was not covered as much as say Kesari by the industry pandits. Red chillies initially did a few tweets and then it all died down. Coming from Amitabh it served the purpose of saying hey! This movie is a success. And since it was Amitabh no one got into that’s srk being pompous and so on. He again becomes the fall guy as the producer who needs to be more acknowledging of his actors. I think it was a planned thing. Maybe this will keep badla going for another few weeks and inching closer to the 100 Cr club quietly.